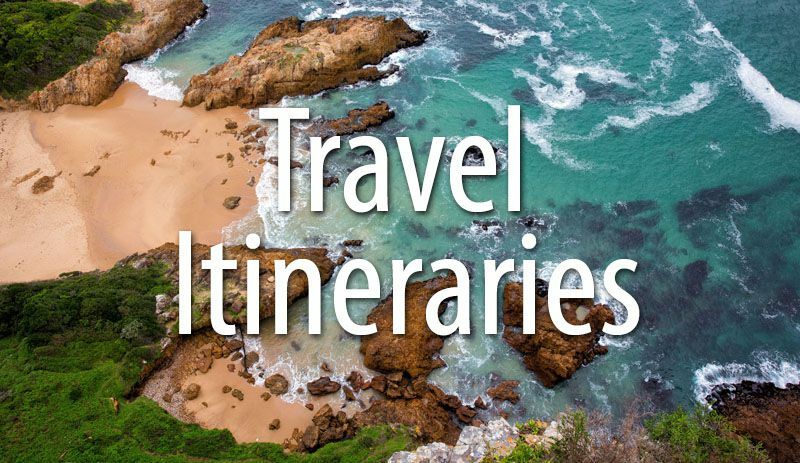 We are always on the lookout for interesting, off-the-beaten-path places to explore. 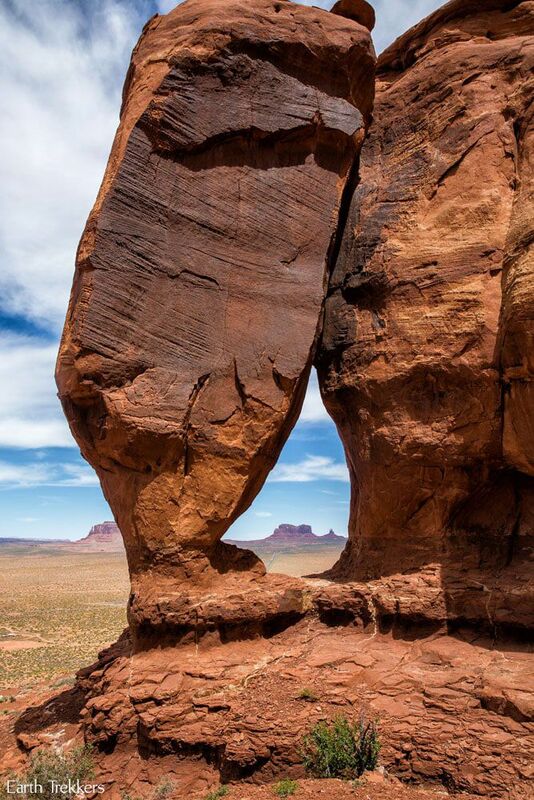 In Monument Valley, that place would be Teardrop Arch. 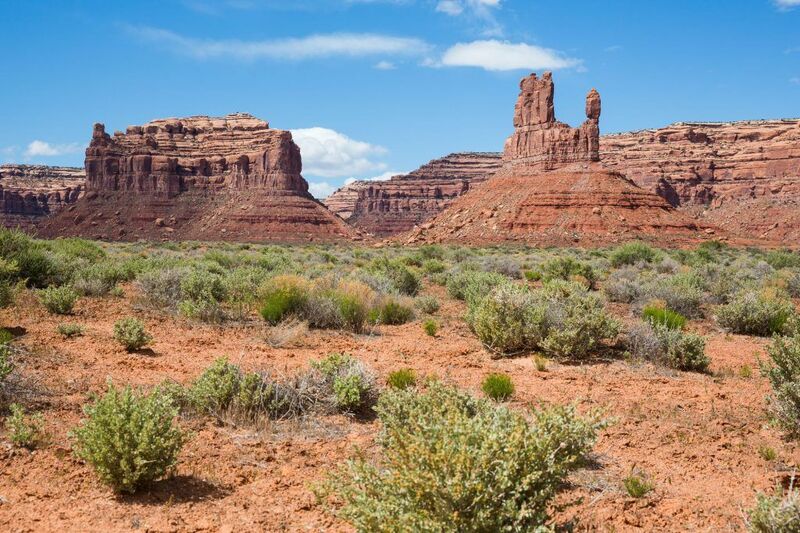 On a visit to Monument Valley, most people self-drive the 17-mile Tribal Park Loop, which takes you past the very popular sites such as The Mittens and John Ford’s Point. 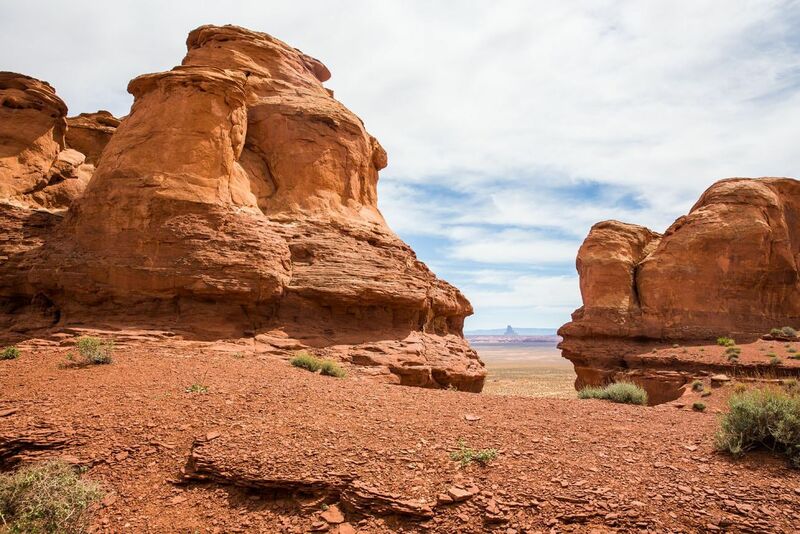 Taking a tour lets you explore further and most people choose either Lower Monument Valley or Mystery Valley. 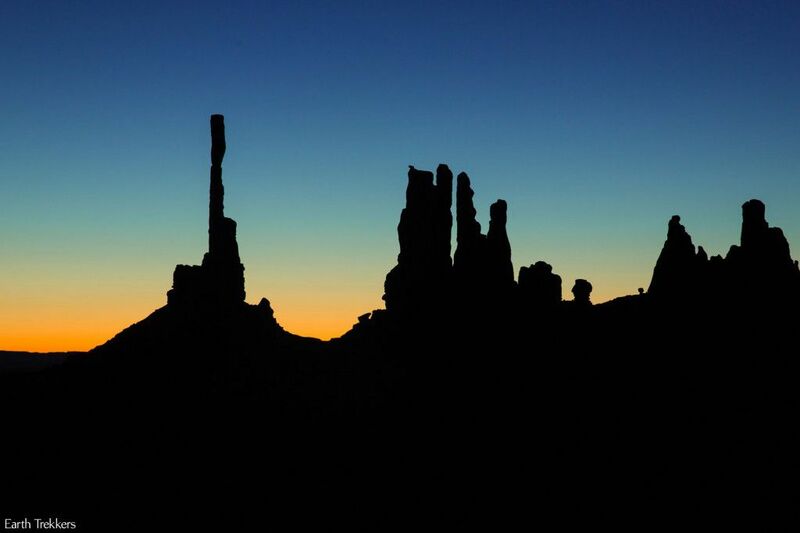 We drove the 17-mile loop and took a sunrise photography tour of Lower Monument Valley. 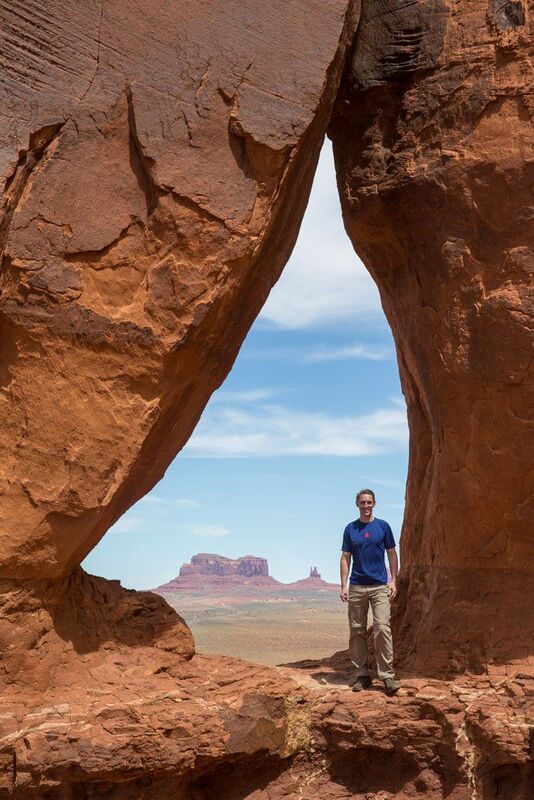 For a different view of Monument Valley, and to do a little bit of hiking, we opted to take the “unpopular” tour to Teardrop Arch. Teardrop Arch is located west of Interstate 163 near Gouldings Lodge. 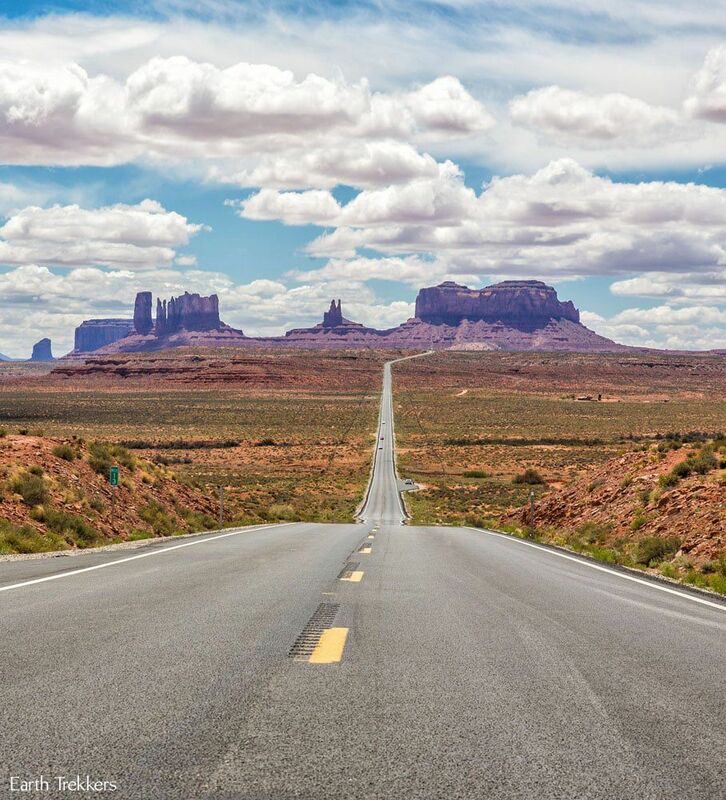 From the Monument Valley Visitor Center, it is about a 15 minute drive to get here, the last portion on unmarked, sandy roads. Earlier in the day, our guide on our photography tour warned us that Teardrop Arch is not very exciting. This had Tim and I wondering if we made the right decision scheduling this tour. Because of its “unpopularity,” we were the only two people on the tour out to Teardrop Arch in the afternoon. We used Navajo Spirit Tours and our guide was Sean. Sean told us that people rarely book this tour and the last time he led a group out to Teardrop Arch was one month ago. Yikes!! Was this going to be a waste of time?! Sean drove us past Gouldings Lodge and then onto sandy roads to Horse Shoe Canyon. It was here that Sean parked our vehicle and we walked for 15 minutes through desert terrain and up onto a rocky outcropping to Teardrop Arch. From here, we had a view of Monument Valley. It’s a nice view, but with the buttes and mesas so far away and the local public schools in the foreground, I can see how this would not be the favorite view of most visitors to Monument Valley. 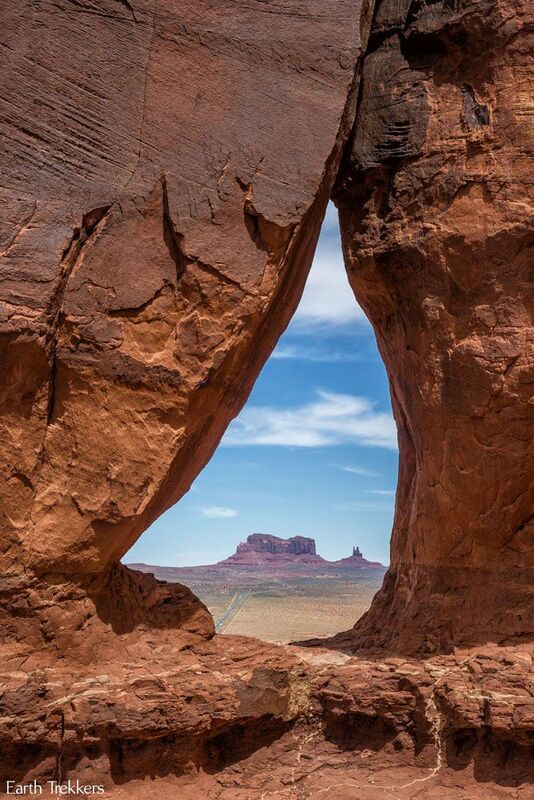 However, viewed through Teardrop Arch, Monument Valley is stunning. If you want a unique photo opportunity, it’s hard to beat Teardrop Arch. 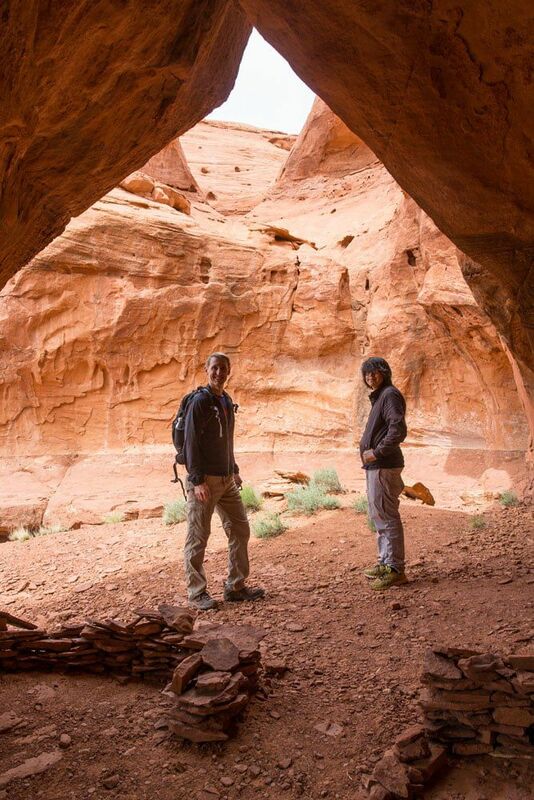 Knowing that Tim and I are hikers, Sean modified the tour so we could visit more than just Teardrop Arch. For the next hour, we scrambled up and down the sandstone formations, explored caves, and learned about the Anasazi people who once lived here. It was just the three of us, and to be able to explore like this was pure fun. 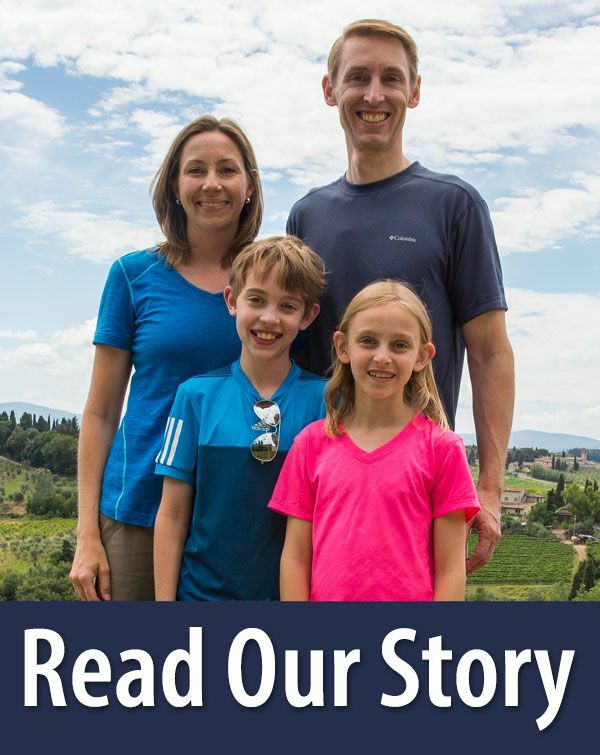 For us, it was a wonderful experience, and we really had a great time. Why go to Teardrop Arch? 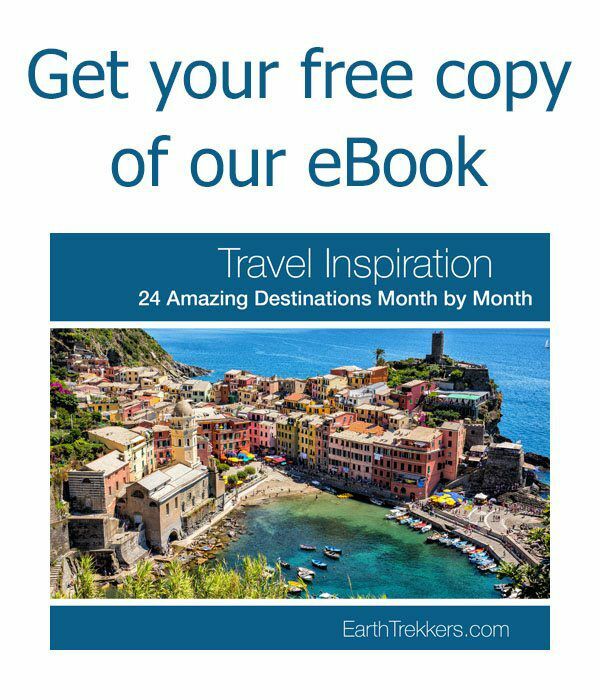 If you like getting away from the crowds, this is a great tour to take. 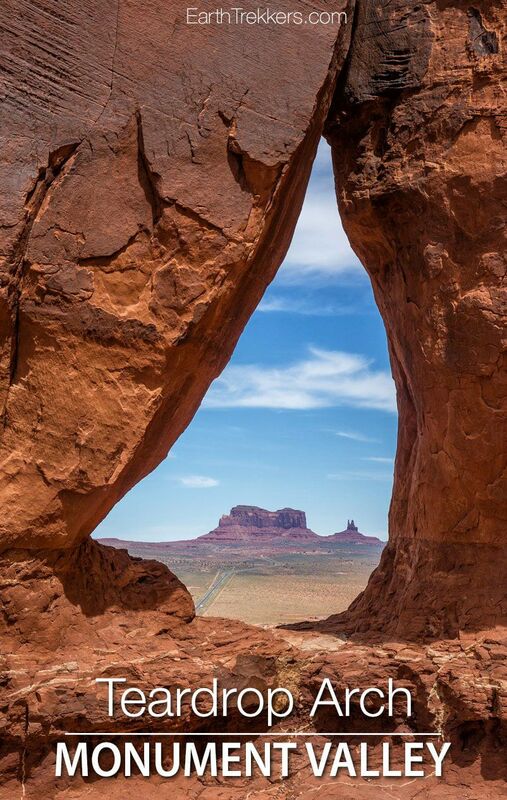 If you want an alternative view of Monument Valley, Teardrop Arch offers you a very unique perspective. 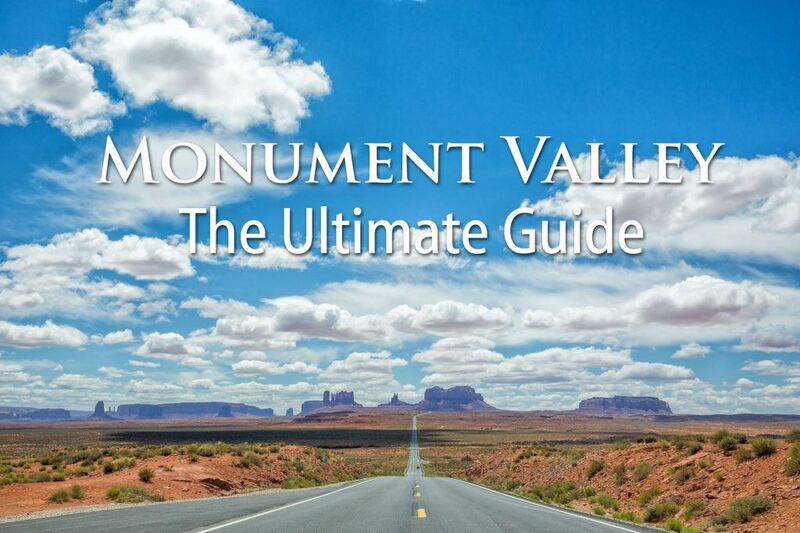 And if you want to do a little hiking, this is the best tour to take in Monument Valley. So, is Teardrop Arch Worth It? 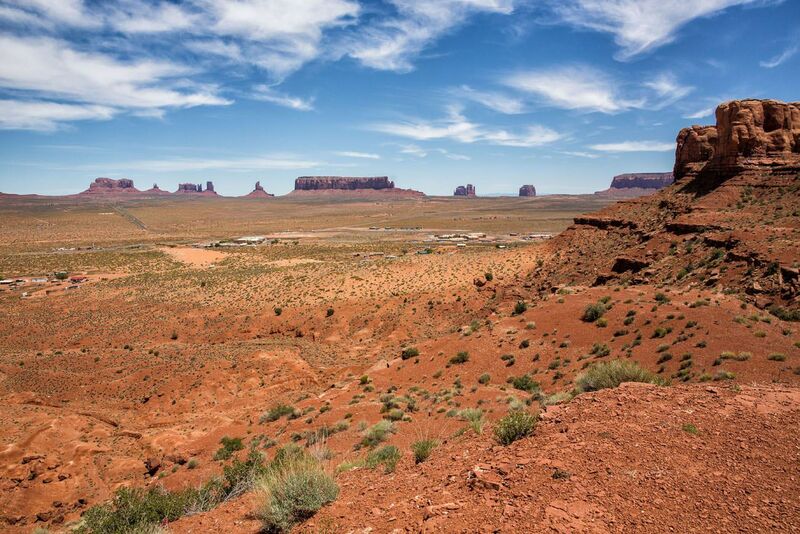 However, if you have limited time in Monument Valley, the #1 thing you must do is drive the 17-mile Tribal Park Loop. 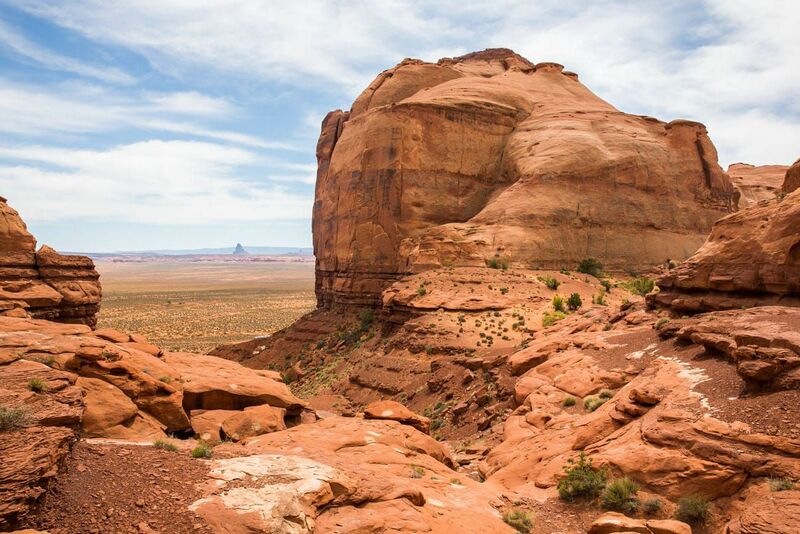 This loop hits the highlights of Monument Valley. You also must make the quick drive out to Forrest Gump point (37.101620, -109.990654 on Google Maps) so you can take this iconic photo. 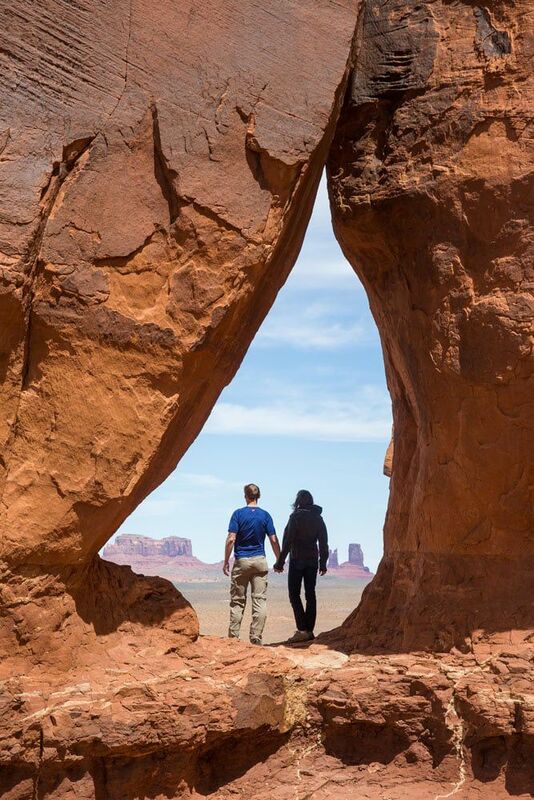 If you have time for a tour, Teardrop Arch is definitely one to consider. 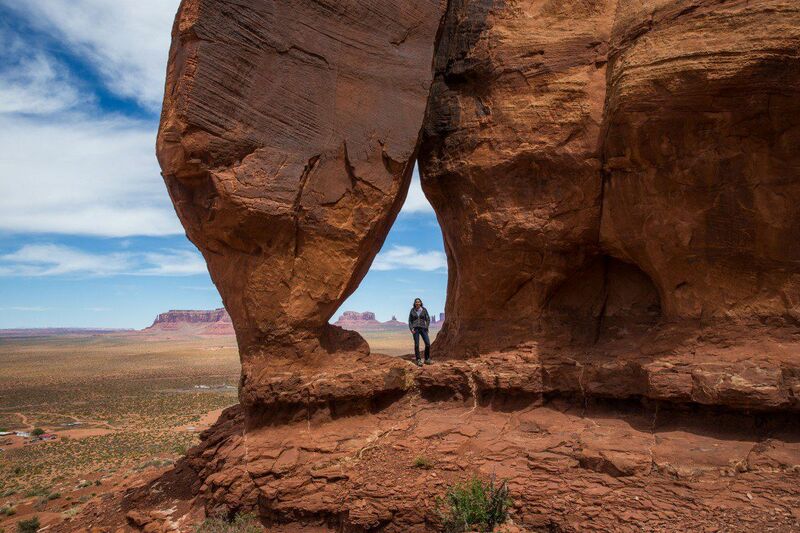 It is pure fun, offering unique views of Monument Valley, and you just may have it all to yourself. 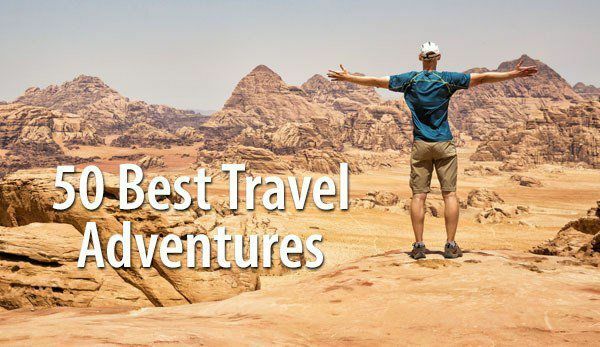 If you are traveling with kids, this may be more interesting for them than just driving around looking at buttes and mesas all day. They will enjoy exploring the caves and rock scrambling. 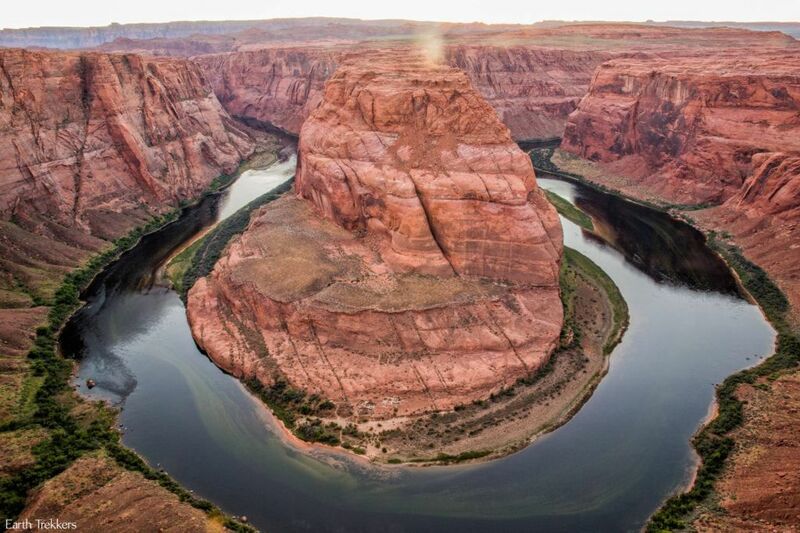 We used Navajo Spirit Tours and paid $80 per person. Our guide, Sean, was fabulous, modifying our tour to fit our interests and teaching us about the history of Monument Valley. 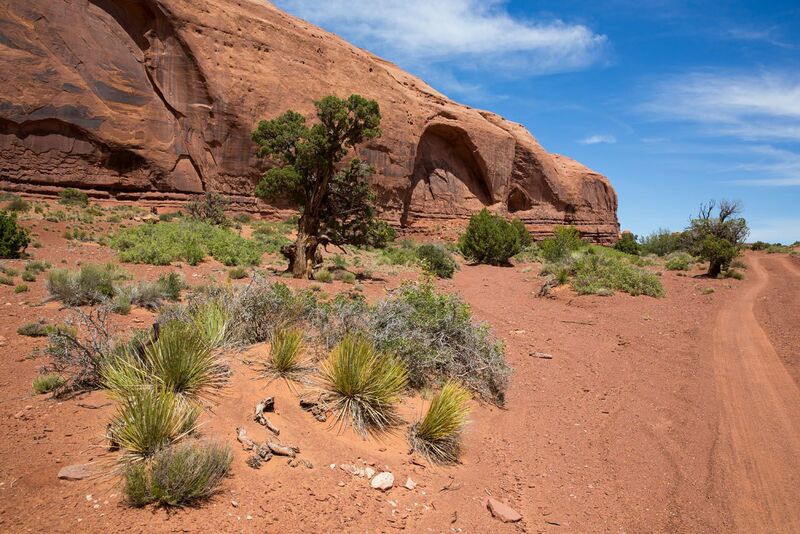 Navajo Spirit Tours offers many different tours in Monument Valley and they get rave reviews from other customers. 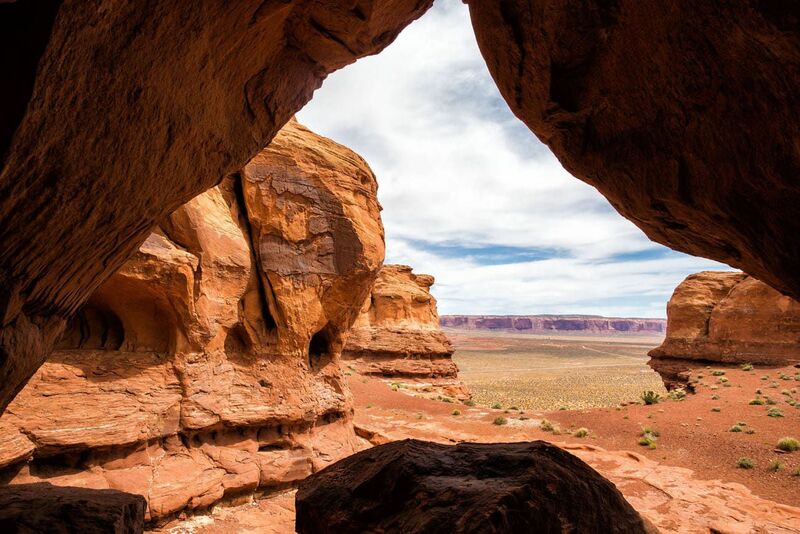 If you want to hike to the caves after visiting the Arch, let the staff know when you book your tour. Our understanding is that the “normal” tour just takes you to Teardrop Arch. For us, it was the hiking part of the tour that made this so much fun. The entire tour lasted about two and a half hours, including transportation time. 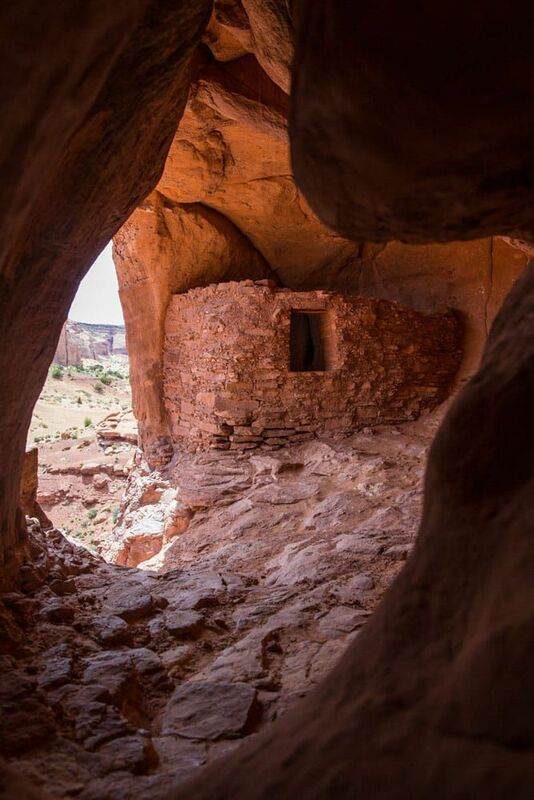 Another popular tour is to Mystery Valley, where petroglyphs and the history of the Anasazi people are the highlight. We did not take this tour, so I cannot comment if it is better that Teardrop Arch. We also took a sunrise photography tour of Lower Monument Valley with Phillips’ Photography Tours. 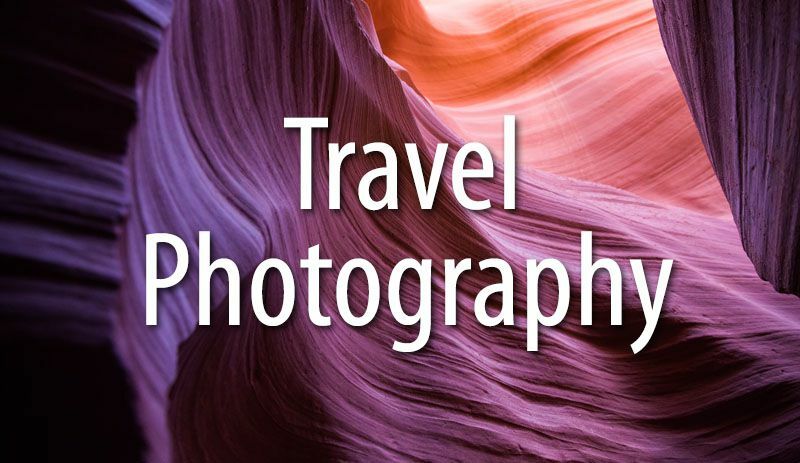 This is highly recommended if you are interested in photography. If you do not like the idea of waking up so early, many companies also offer daytime tours of Lower Monument Valley. What do you think? Would you consider visiting Teardrop Arch? Let us know in the comment section below! Y’all have lots of fun and that is fantastic! 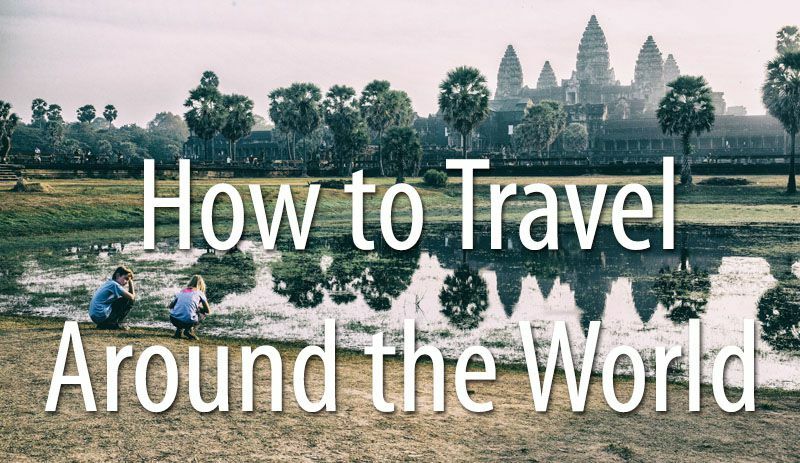 Your photos always make me want to pack my bags straight away!! 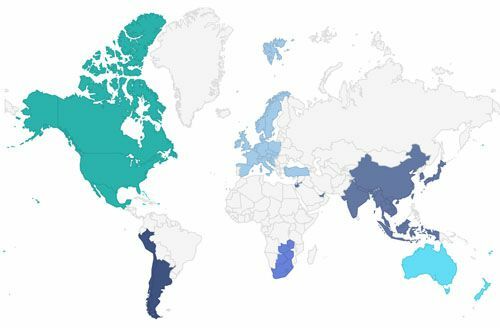 I’ve read quite a few of your posts over the last year (pretty much all your Australia ones 🙂 ) but have just never commented. I know you guys are hikers and I’m curious of why you went on a tour there. Can you not hike there by yourself (is that a silly question to ask?? Excuse my ignorance…)? What time of year did you go? We went to the Northern Territory last year at the end of Aug/early September and it was seriously too hot for me already. I’d expect similar temperatures (if not higher?) in Monument Valley so keen to hear what time of year would be best to visit. This looks beautiful, guys. Sometimes its good to go off the beaten track to find something unique! I was recently in Ecuador and loved exploring the Cloud Forest…I lost myself amongst the beauty of the wilderness that surrounded me and felt like I avoided a typical tourist trap.